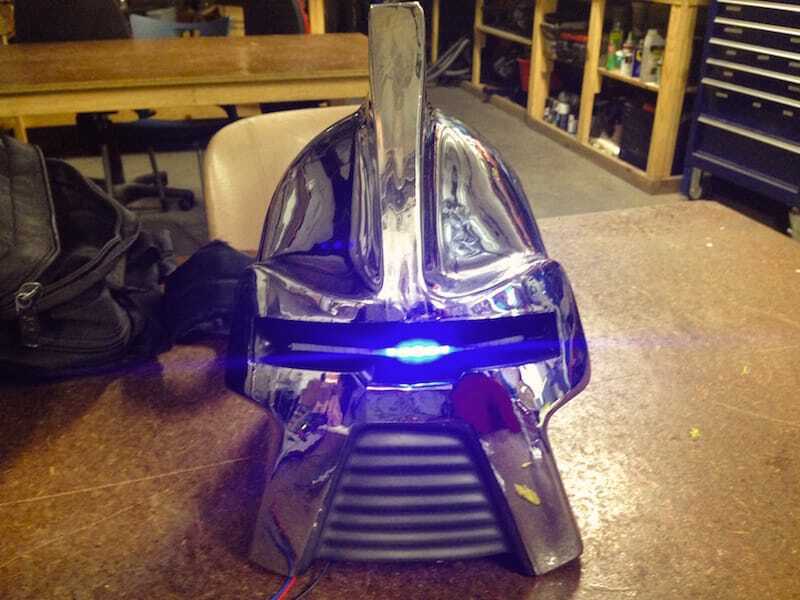 This last week I was working away on my Cylon helmet project and had a flash of inspiration. In the original artwork for the series, Ralph McQuarrie drew up his imagining of the Cylon warrior race, which was robotic with a scanning eye. The real stand out of this design was that the eye was blue instead of red, something that changed very quickly and was followed through till its final design by Andrew Probert. 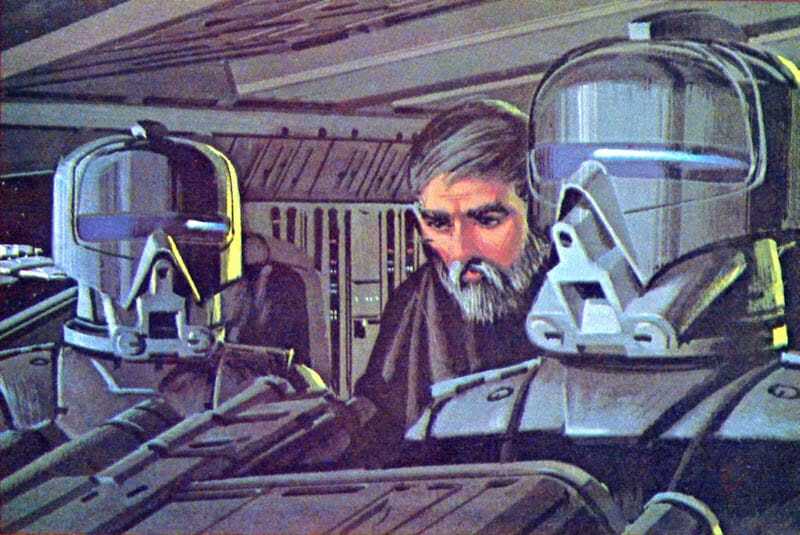 Andrew was recommended by Ralph McQuarrie for the job, freeing him to return to the Original Star Wars Saga and guide the development of The Empire Strikes Back. 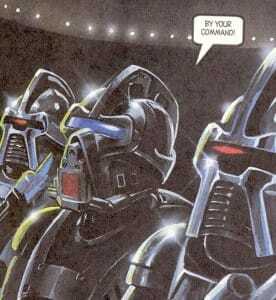 This difference in eye colour has been discussed and even acted upon in the comic book “The Law of Volahd” Part 2, Battlestar Galactica #2 (Season II) released by Realm Press in January 1998. 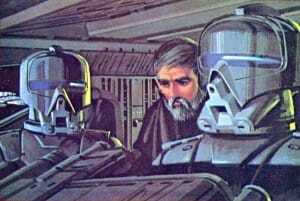 The story and art created by Chris Scalf introduced Vulpa Six whose scanner eye is blue and modelled on the original McQuarrie designs. While working on some of the electronic elements of the helmet, I realised that I had used a strip of Neopixals which are RBG controllable LEDs to bring the helmet’s scanner to life. It didn’t take very long to modify the code and change the colour to blue, thereby creating a throwback to the McQuarrie design. This feature will be an easter egg for the animatronic helmet, which will change the scanning colour and talk to you about the history of the cylons!